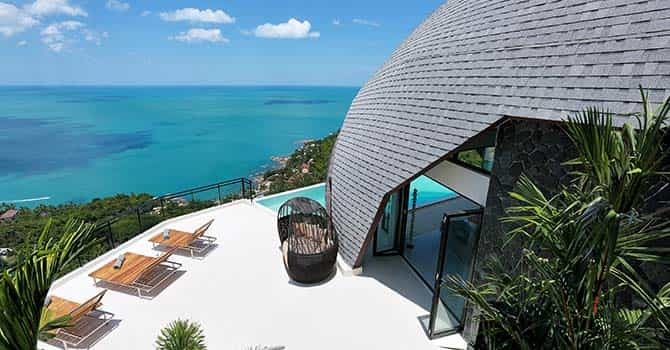 Luxury 4 bedroom Villa Moon Shadow is a spectacular ocean view Villa with a stunning infinity pool on lush grounds overlooking Chaweng Noi Beach and the sea beyond. 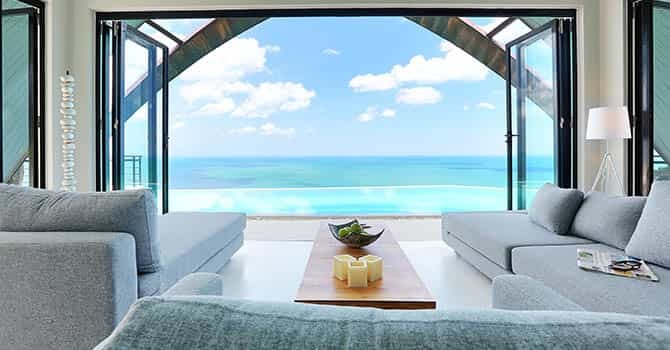 An award-winning villa, this lavish property features tranquil design that combines modern comforts with delightful local touches. 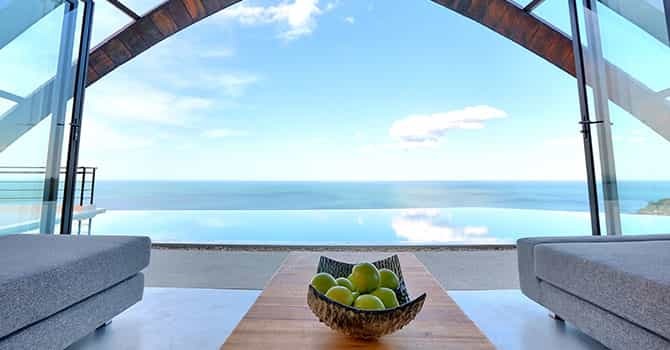 Boasting an absolutely splendid oversized infinity pool looking directly over the sparkling sea beyond as well as a lovely outdoor deck complete with a BBQ and outdoor dining area, this beautiful Villa is a real gem. Plentiful areas for lounging both in air conditioned bliss and under the sun or shaded spaces abound in this idyllic property in paradise. Three of the four bedrooms feature king beds and ensuite bathrooms, some of them with spacious bathtubs. The remaining bedroom includes two twin beds which are ideal for children or additional guests. 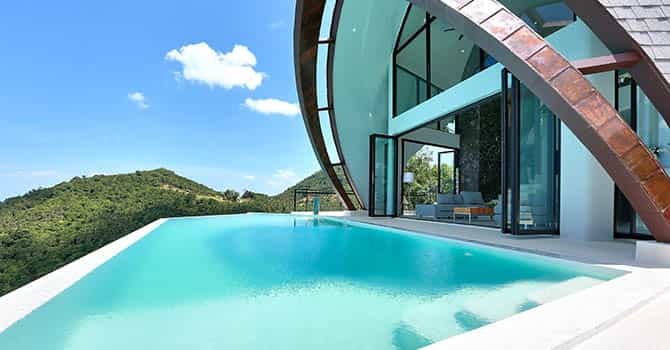 The villa's unique location on a lush hillside puts it in the ideal spot for the perfect island holiday. Just a short drive away from the island's legendary adventures, activities, dining and shopping, you'll have paradise right on your doorstep. - Rate is subject to 17 % service charge, taxes. Each of the villa’s four stunning bedrooms are elegant decorated, with floor-to-ceiling windows to take full advantage of the sumptuous views. The first bedroom features a deluxe king-size bed, and adjoins the second, twin bedroom. The two rooms share an ensuite complete with a bathtub, and are ideal for families travelling together. Two further bedrooms also have king-size beds and their own ensuite bathrooms.